Etymology: probably of African origin; akin to Fulani moco’o medicine man Date: 1926 : a magic spell, hex, or charm; broadly : magical power <works his mojo on the tennis court>. When sewists speak of mojo, I believe they mean something more specific like the will to sew, an inexorable pull into the sewing area, a compulsion to create something through the act of sewing. 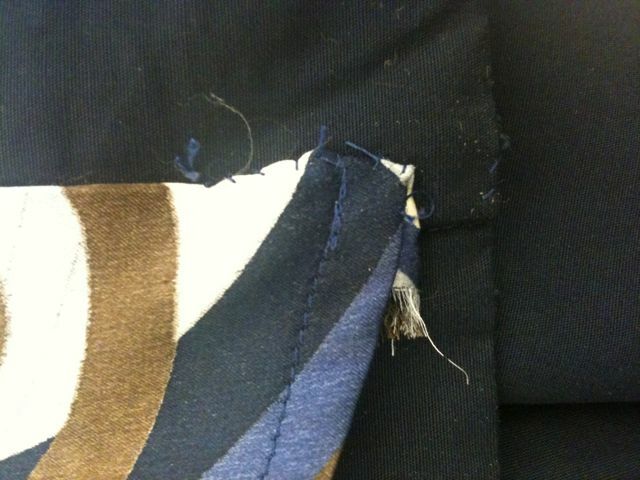 I find that my sewing mojo waxes and wanes in indirect corelation to the difficulty of each project. Funny how that happens, isn’t it? I am working on the crazy skirt (as my teacher Thea calls the Knip Mode skirt). By all rights, I should have been done with this baby already. But I keep procrastinating. Each step is excruciatingly slow and not because it takes long to do, but because it involves a lot of procrastinating. Much as I am wont to complain about pattern instructions and their inscrutable-ness, I still feel at sea without them. I am such a play by the rule book girl (on most things, but not all). I use recipes. I follow directions (when I can understand them). I like knowing the “proper” order. Not having directions on how to construct this skirt is such a rudderless feeling to me and causes me to have slight panic attacks. Ok, ok. I’m not having panic attacks really, but it does make me procrastinate. So I’ve cut out my fashion fabric (LOVE IT!!!!) and of course made my requisite cutting error by forgetting the hem allowance on one of the pieces, but I am ignoring moving forward anyway. 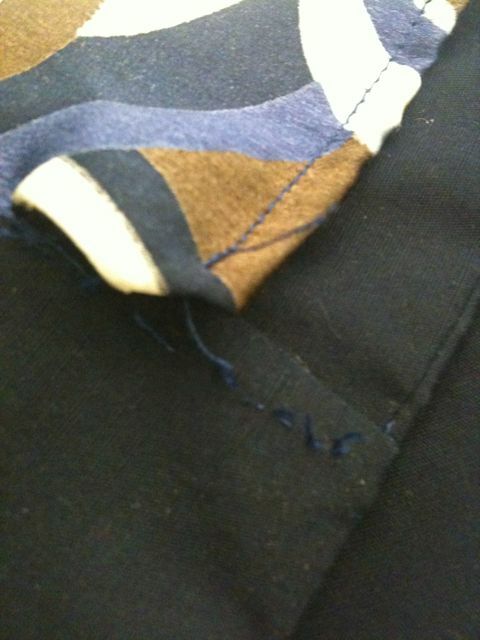 I have yet to cut out the lining (will do that tonight) and need to decide how to interface for the button area. Should I interface all the way down or for each button individually? And since this is a wrap skirt, should I piece the waist band to match the skirt pattern pieces (i.e., one for the back, one for the wrap and one for the under wrap? Or just make one long continuous waist band? Going back to mojo though, as I mentioned earlier, I find that my mojo mysteriously disappears when I am working on an intimidating project or the difficulty meter heads north. But something miraculous happened last night. I was procrastinating as usual and it was 9:30pm before I actually started working on my skirt. If I want to wear this skirt to the PR Weekend in Philly, I gots to get moving on it pronto! 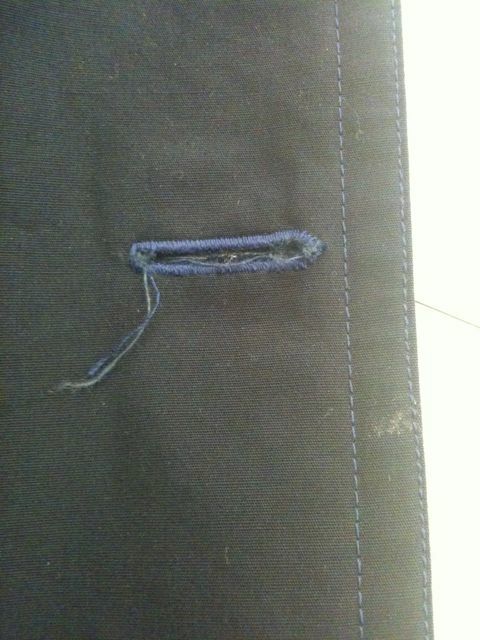 So, I set up my navy thread, did some practice serging and stitching, and just started working. 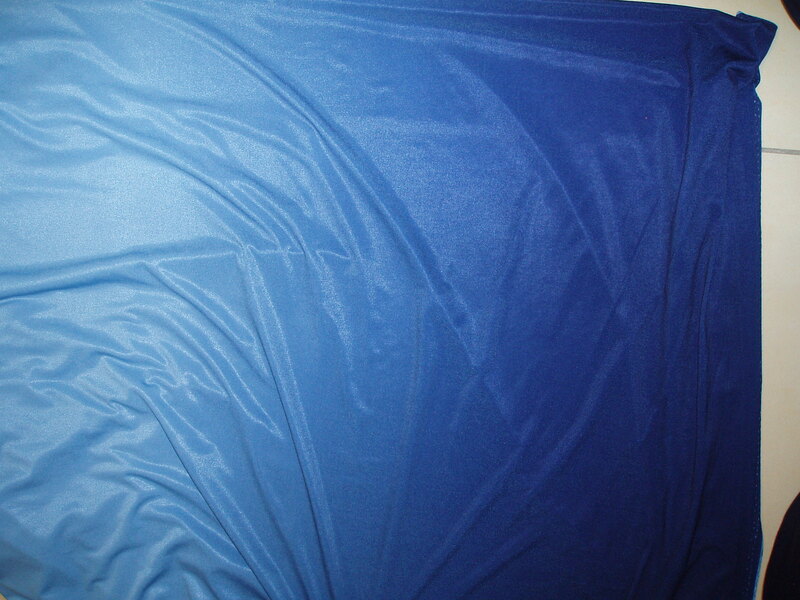 (Because my fabric is ravelly, I serged all the sides of the cut pieces before I handled the fabric too much.) 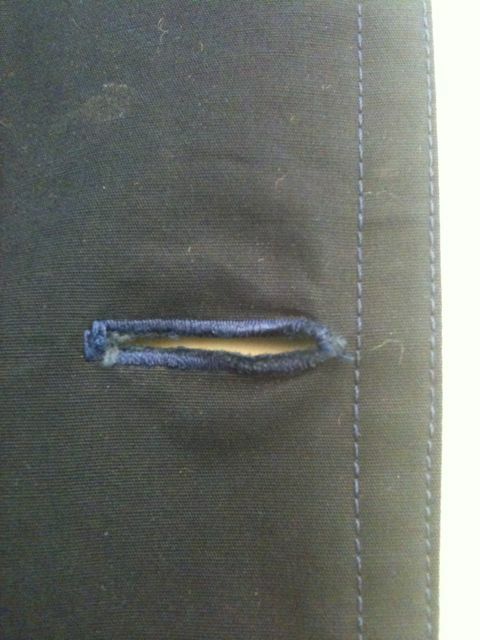 I did one seam, and thought, let’s do another. Next thing I knew, I had the fabric shell finished (except for hemming and the waistband of course). I couldn’t believe it. It was 1/3 constructed in a couple of hours. I was just going to do my 30 minutes a day, but once I got into the groove, I didn’t want to stop. It was amazing. So the question of the day is this: How does your mojo work for you? Do you have to just do the work so that it magically appears? Or do you have to wait for the mojo to appear to do the work? Which comes first? The chicken or the egg? When I originally set up my 30 minutes a day discipline, my secret hope was that it would jump start my mojo. And I think it really works!!! Now I just need to start earlier in the evening, so I have the whole evening to work. This stupid procrastinating thing is cutting into my mojo time! Leave your mojo talk in the comments section below please.